16" viola, spruce wood faceboard. Backboard & side & neck made of maple solid wood. Fretboard and chin rest of ebonize. High quality set of strings, bow and artificial horsetail. A soft-sided case, protect viola from bumps and scratch during transport. 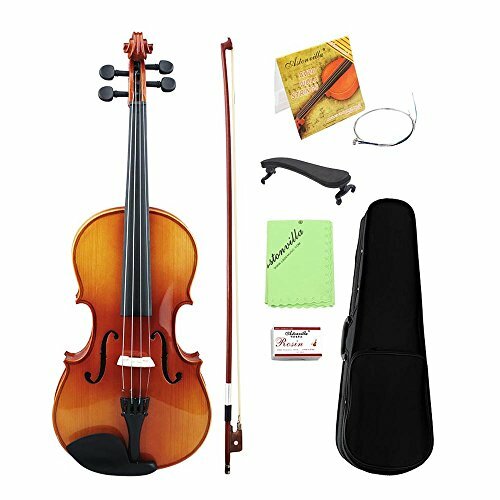 Comes with a bow, a rosin, a chin rest, an extra set of strings, a case and a cleaning cloth.